Being considered as one of ten most beautiful bays in the world under protection of Unesco Organization, the bay of Kotor hides one of the most beautiful nooks at the southernmost fiord in Europe. from the sea, it gives you an illusion that you are facing floating, fairytale settlement. provide warmth and comfort to its tenants. In addition to two houses, one of which is on the first line from the sea (325m2) and second of 84m2, there is also a 360 m2 pontoon. A part of 150m2 is devoted to the restaurant, and the rest is a boat and parking lot. 85m2 with balcony. 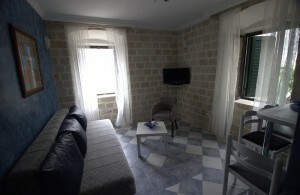 They all have a sea view and a terrace where you can enjoy the fresh summer breeze. the second house is beautiful living space where is situated owner. Both houses with the garden of 220m2 garden are completely renovated using the old authentic Korculan stone and according to the instructions of the Institute for the Protection of Monuments and that way they are included in UNESCO's protected heritage. All infrastructures is adapted to the modern way of life. 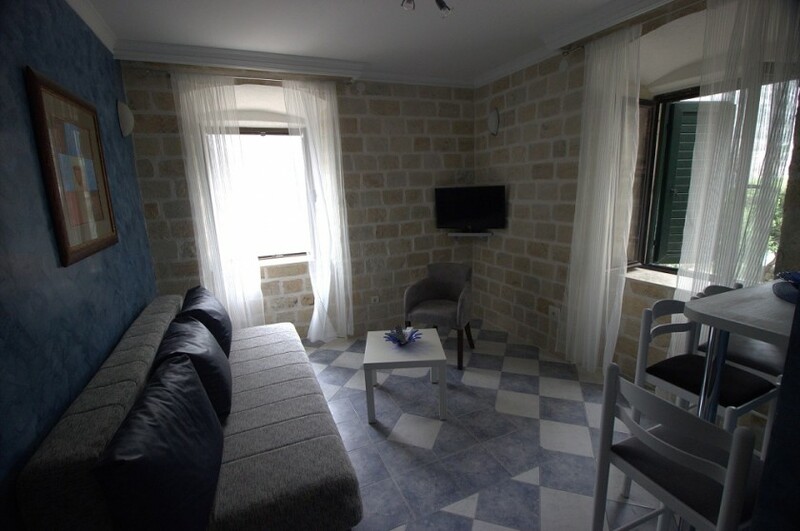 The houses have central heating, air conditioning and a central boiler of 500l. luxury with a combination of style that is characteristic for this area. place for walking and relaxation. 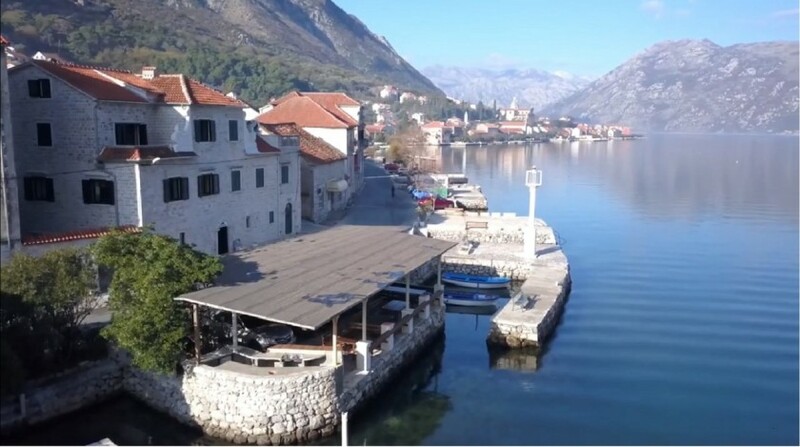 Some interesting distances: Center Old town Kotor 3,5km , Airport Tivat 7km, Airport Dubrovnik 65km, Airport Podgorica 85km, Small sand beach 7m, Big sand beach 50m, Super market 10m, Cathedral 'Bogorodični Hram’ 500m, Monument 'Tre Sorelle' 50m, Post office 500m, Bakery 500m, Tivat-Porto of Montenegro 10km, Budva town 25km, Igalo town 35km, Podgorica capital town 90km.